Join Devin’s family and friends at 100 S.E. Flamingo Ave. for lunch and live Irish music! Bring your Devin stories – there are plenty to go around! 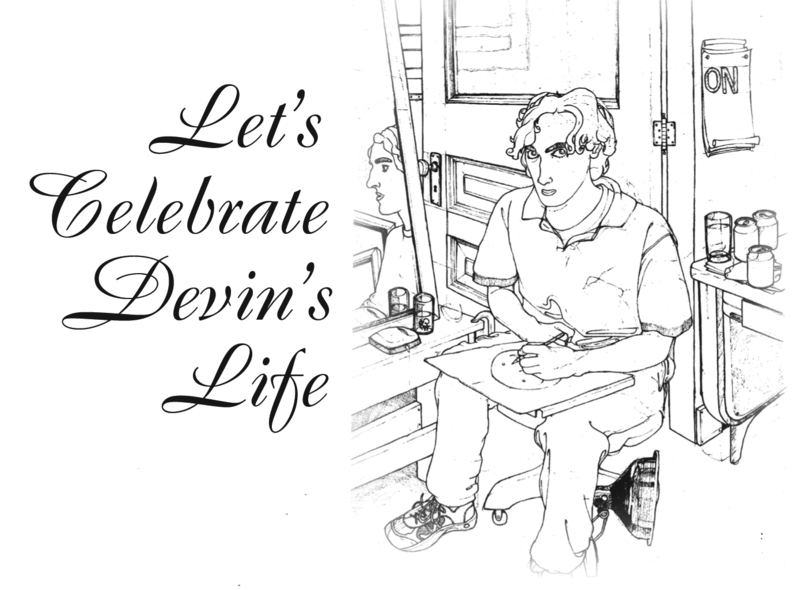 Note: This invite – the first celebration for Devin in the South – arrived in my inbox. Why not host one, yourself?! Email me at adduciartservices@gmail.com and I’ll post the info…hopefully, in a timely manner! This entry was posted in Updates and tagged devin leonardi, devin leonardi artist, devin leonardi eulogy, devin leonardi florida, devin leonardi memorial, devin leonardi obituatry. Bookmark the permalink. Devin and all who loved him are in my thoughts. It would not surprise me to see him walking the streets here in Paris. I will raise a glass to his memory on this day of memorial.